a flat arch and to the left a moulded pointed arched doorway. 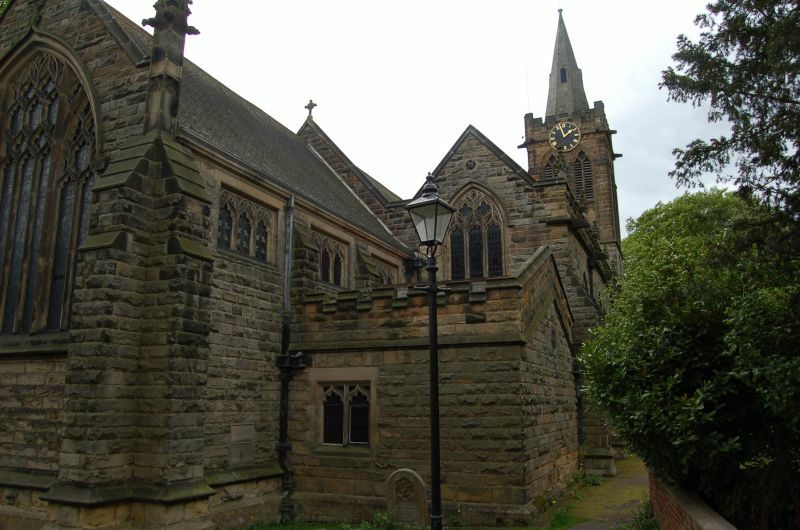 surmounted by panels with blind tracery and crocketed pinnacles. doorway are decorative panels with 2 decorative shields. roof. Nave roof with blind traceried wooden panelling.